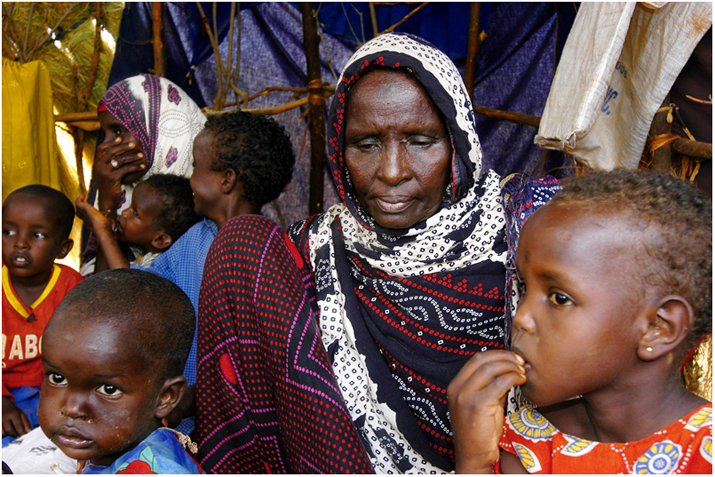 Home / IFO Refugee Camp | Dadaab Kenya / Women and children in a makeshift shelter. Caption: In a makeshift tent at IFO refugee camp women are been giving information on the importance of breastfeeding in the first 6 month for newly born baby's. Object name: Women and children in a makeshift tent at IFO refugee camp.